On April 30, 2014, Palestinian blogger and human rights advocate Iyad El-Baghdadi , a lifelong resident of the UAE, suddenly went silent on Twitter. Until last week, little was known of his fate. On October 20, El-Baghdadi surfaced in Oslo, Norway and news broke that he had been arrested by UAE authorities on April 30. The blogger received no formal criminal charges — he was simply given the option  of either living in indefinite detention in the UAE, or deportation to Malaysia. He chose Malaysia, and arrived there on May 13. Given his lack of official documentation, he remained in the Kuala Lumpur airport until June 8 or 9 until he managed to obtain a Palestinian Authority passport. El-Baghdadi was unable to leave the country until just last week. It wasn’t long after Iyad El-Baghdadi’s last tweet , on 30 April, that I realized something had to be wrong. This was Iyad, after all, a man who (literally) averaged over 35 tweets a day – and could comfortably double that figure when he got on a roll, or when some new dictator’s speech or sectarian massacre sent him into a fury. For him not to have tweeted at all for several weeks was, frankly, alarming. I wondered at first if he was observing a 40-day silence in mourning of the tragic death of Bassem Sabry, the Egyptian writer and friend of his who passed away the day before. But that milestone came and went without result. I feared he too had come into some misfortune, and asked on Twitter if anyone knew anything. No one did, but several people re-tweeted the question, suggesting many of us had the same concerns. Baghdadi….maintained a highly active social media presence during the revolutions which suddenly went quiet earlier this year, shortly after the death of his friend and well-known Egyptian activist Bassem Sabry . His last Tweet , about Sabry’s death, was on April 30th. I was arrested the morning after @Bassem_Sabry  died. And I'm reaching safety and seeking asylum on his birthday. My first night in jail, all my dreams were of @Bassem_Sabry . 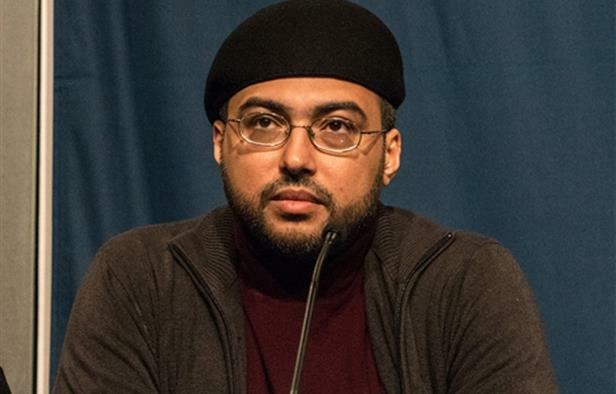 When asked about his decision to seek asylum, he replied: “most people weren't surprised and told me it's the right move, necessary for protection and for me to be able to continue my activities at full productivity and capacity without harassment.” We wish the very best for El-Baghdadi and hope that he will soon be united with his family.